Download the OP2 / OP3 Datasheet. Lightmotif’s OP2 and OP3 are 5-axis laser machine tools designed for surface texturing and micromachining on complex 3D curved workpieces. The combination of step-and-scan machining and a state-of-the-art picosecond laser provide the best combination of speed and accuracy for applying micro-features to relatively large parts. The systems can be used as flexible workstations for R&D or as a production system. Based on a modular machine concept the systems can be adapted to create a semi-custom machine that fits the requirements specific to your application. The OP2 is specifically designed for micro-texturing of large and heavy (up to 300 kg) workpieces, whereas the OP3 focuses on increased accuracy and accessibility for small to medium-sized parts (up to 10 kg). The step-and-scan machining method and built-in scan field calibration ensure accurate tile alignment (negligible stitching errors). The use of a picosecond laser source enables machining of very small and detailed features. Dimple textures can be made with dimple diameters as small as just a few micrometers. Free-form pockets allow for example the machining of small pillars, and the typical material interaction of ultrashort laser pulses enables applying different types of micro-roughness. 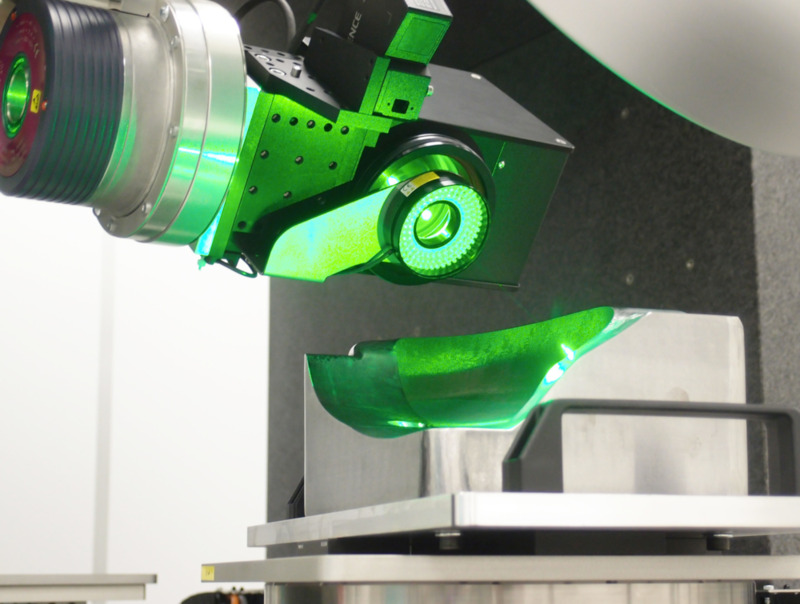 By using control software developed by Lightmotif specifically for large and complex step-and-scan micromachining jobs the system allows programming textures which contain millions of small features. Ideally the operator should never have to worry about machine-specific details, but instead focus on those directly relevant to the process. For example, to mark a line should not require thinking about scanner mirror acceleration or tracking errors. Lightmotif uses various sensor systems to allow the machine to handle these details automatically. An automatic power calibration system allows programming in physical units (watt) instead of laser “relative” power, avoiding the need for manual power measurements, and ensuring a program will always yield reproducible results. To achieve maximum accuracy from the scan head the system is equipped with a tool calibration system. This camera-based system automatically measures and corrects for scan head alignment errors, scan field distortion, scan system and laser pointing drift, and variations in the laser focus.